Do you feel different? That was the question asked of the latest crop of newly licensed CPAs by the chair of the State Board of Accountancy, Liz Gantnier, CPA, at last night’s New CPA Swearing-In Ceremony. Liz put the exclamation mark on this significant milestone – a commitment to protecting the public interest that the license granted by the State of Maryland represents. Honorable state Senator-elect Gail Bates, CPA, also offered her congratulations to the group. The official oath was administered by the acting commissioner of Occupational and Professional Licensing of the Maryland DLLR, Michael Vorgetts. Every speaker recounted that the moment you learn about passing the CPA exam – one of the toughest professional exams – is the one event every CPA remembers for the rest of his or her life. After the ceremony, I spoke with several new CPAs, and every one of them said that raising their hand and taking that oath made them realize the significance of what they accomplished. They all said they feel different. 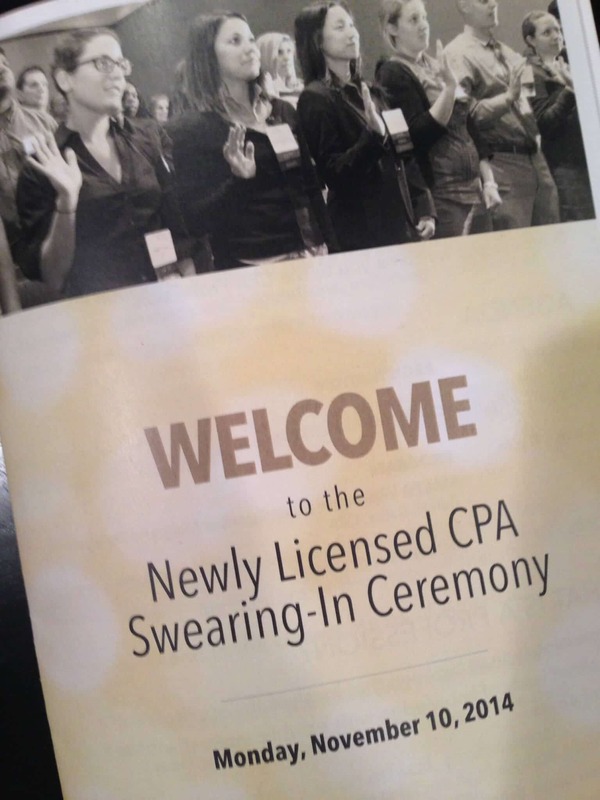 Welcome to the CPA profession!